Be as brainless as a March Hare. 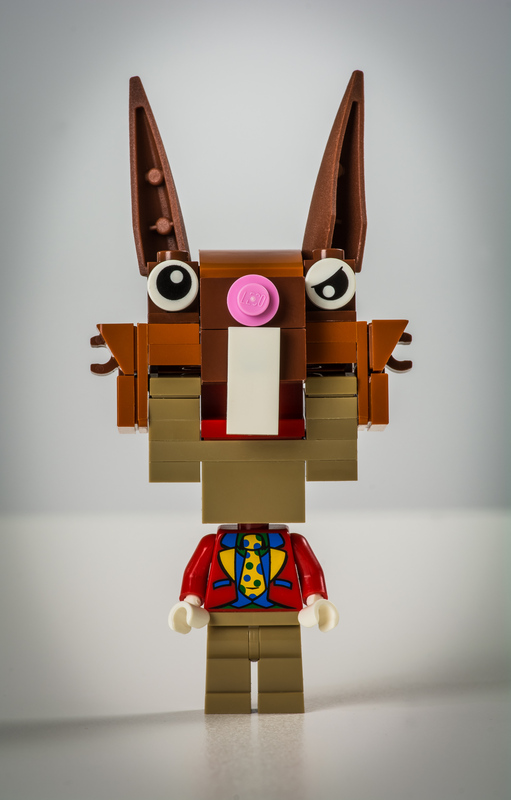 The second minifig bobble head for my forthcoming stop-motion Alice in Wonderland video, this is the March Hare. His head is slightly less heavy than the Hatter, and has more articulation with his puppet mouth with the usage of a hinge brick.